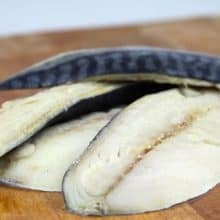 Our Kippers are made from the finest Scottish Herring. 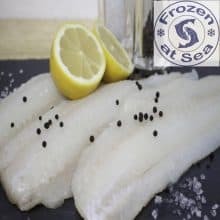 The herrings are cold smoked & have a wonderful flavour. Each kipper is individually vacuum packed, and freezer ready. They are fully prepared & ready to cook. A vacuum packed pouch will take about 3-6 minutes if you boil in the bag. 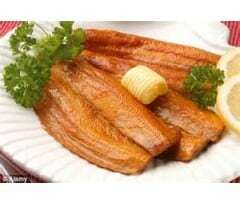 Kippers are a very good source of healthy Omega 3 fish oil & have no cholesterol. Ordered in 2's. Kipper fillets in a vacuum pack. We find that Kippers are great cooked in the microwave, so why not? Its quick and easy. Remove from vacuum pack and cook for 3 minutes (from frozen) on full power. 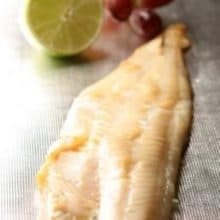 If the kippers are defrosted reduce cooking time by 40-60 seconds until cooked through. 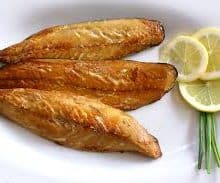 If you prefer you can grill the Kippers, place them under a medium hot grill for 6-7 minutes, again reduce cooking time slightly if defrosted. Although care has been taken to remove all bones, some small bones may still remain.